New York, NY(February 27, 2014) — Concore Entertainment has been heating up the streets with their new release The Takeover with features from some of the biggest names in music such as Natalia Damini, Future, R. Kelly, Gucci Mane, Big Krit, Murdah Baby, Kool G Rap, Bobby Valentino, Styles P.
The album also includes such artists as: Smoove Gotti, Don Dotta, Chino XL, Kountry Boy, J Fire, Cory Jones, Coco Brown, Ramsey Valentyn, Kool Da Great, Janet Marrero, Wheather Man, Drone Boyz, Platinum P, Alley Boy, E. Smitty, Agallah, Hoodie Boyz and Omega Raw. 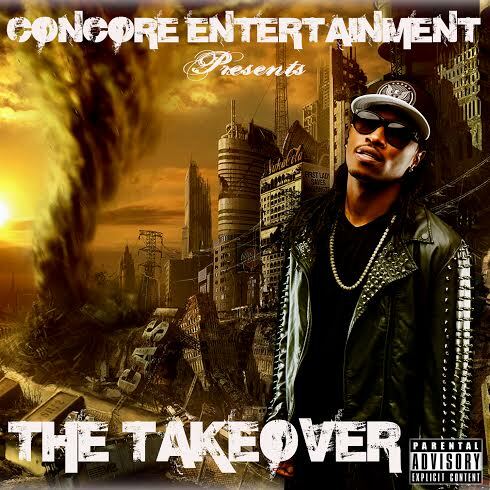 Charve The Don, the CEO of Concore Entertainment says that he is very excited about The Takeover and what makes this compilation different from others in the past is that this is a mixture of Hip Hop, R&B and Pop and is a total of 24 songs in the album and we have artists from all over the world, from Brazil to Africa in this album and we got production by The Transformaz. And now we are taking submissions for the upcoming The Takeover 2, you can go to our website for submitting your material for The Takeover 2. This entry was posted on February 28, 2014 by 850music in Posts, Press Release and tagged press release.